Turkey eaten, the carols have been sung. The Elf has fled fro the shelf, he along with the lights, wreaths, ornaments, greenery, and tree are lovingly put away, or will be soon. Now that we’ve had the Eggnog (my niece has informed me that it’s egg juice) and probably enough cookies to ground Santa’s sleigh, we turn to champagne and “Auld Lang Syne”. January 2nd is here and I’m planning out how to stick to my resolutions. Top ones include diets, stop smoking, get healthy, oh and the kids go back to school. I have to confess that Diet, and exercise will be my biggies this year. For those just joining in I had a stroke in spring of 2013. I was extremely lucky to only have some permanent damage. Here I am 4 years later and several corrective surgeries, including spinal cord cyst removal for Christmas last year. I am currently in physical therapy to be able to walk again. Due to a year of very limited mobility I have to loose weight and learn to walk. So this year I am teaching my self how to deal with government run health care (medicare), and since all this started I was given the benefits I have paid in all the years I worked called disability. So out of a much reduced income and the things like cars and mortgages, that were still due. So with all that as well as medicare premiums. (Yes, you have to pay for that). So I’m trying to learn both blogging and freelance writer. I’m submitting my first pieces next month. I will be over the moon if they publish anything I write. My husband will be right there with me. He’s been my best friend, my rock, Secretary, and errand boy, while trying to work and care for me. He is also my physical therapy helper. This year for Christmas we decided to go with a small budget while paying for transportation to and from therapy, co-pays, and other necessities to do simple things like stand. Besides I could never begin to put enough under a tree for what he and my mother deserve. Upon my last discharge from hospital after setbacks and another stay at a rehab facility, my insurance company sent me home with home health care. I received better care at home with my mom and husband than I had received with the state requirements at a rehab facility. As I reflect on all that has happened in the last year I thought of some of the customers I’ve had over the years who’s significant partner actually spent a good deal of time in a Jewelry store or any store picking out the perfect gift. Most partners spend a lot of time and feeling trying to find the right thing and unless it is truly garish, or a really wrong size the love and effort was the real gift given. I was reminded of this on an old TV show. The father bought what mom was eyeing and she felt that when she received this gift that he paid to much, and even felt that she and the sales girl co- hearsed him into buying it. She got up early the next morning and returned it to the store. When she admitted to her daughter that she had done so, the daughter became quite confused. To clarify she asked her mother what the term gift really meant. The explanation was something selected and given out of love for the receiver. Now the daughter was really puzzled about her mothers actions. If she considered that to be the definition of a gift, and daddy loves you and bought you a gift even something hinted at to express his love then, why would her mother takes take her fathers love and put it on a shelf at the shop it came from? How could she give his love away? That scene played over and over in my head as I selected gifts this holiday season. I foresee it influencing my gifts even more in the future. This also means I have revised my resolutions to include giving as much love away as I can. Whether that’s paying it forward at my favorite coffee shop or simply smile and be polite to the fast food staff at a drive through. With so much focus on all the negatives swirling through our families, news, schools, politics, government and around the world in my small way I know I can touch many lives for the better I hope. In 4qt Dutch oven add butter and oil, onions, garlic, bay leaf, black pepper. Bring to medium heat and bloom spices until onions soften. Add Celery, carrots, 1 cup broth to deglaze pan add rest of broth and egg noodles,peas, beans, chicken and salt to taste. Simmer lid on medium heat for about 20 minutes, or till vegetables and noodles finish. Remove bay leaf, serve while hot for best results. 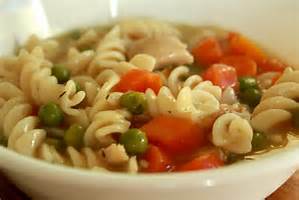 Moms secret with chicken soup is in the antibacterial, and antiviral properties. Enjoy on a cold winter night or to help get over a cold or flu. As we move forward in this new year, take moment not to regret what didn’t come wrapped in pretty paper with bows and ribbons. Be thankful for all that came wrapped and the special feelings that come with holidays too big to wrap yet live in our hearts. 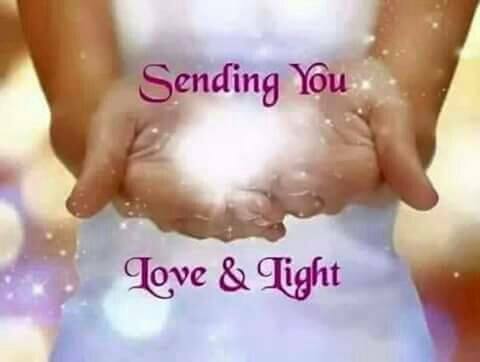 May we all spread those wonderful thoughts of love and light the hole year through. I do not own these pictures with the exception of the logo featured at top. No copy write infringement meant.